As anyone familiar with the online gambling industry will testify, it is not uncommon to suffer from withdrawal symptoms, and no, we don’t mean the itchy feelings of compulsion that can accompany gambling but the problems that can arise when you try to withdraw your money. The strategies outlined on this page will help you to deal with problem casinos that are reluctant to part with your money. When it comes to any form of business, regardless of the nature of the industry they happen to be a part of, you will get good, honourable participants, but you will also find your fair share of dodgy dealers and outright crooks. However it should be bourne in mind that the casinos are powerless to prevent anyone from publishing negative feedback and reviews on casino player forums and the fact is that the majority of these complaints are unfounded, and based on misunderstandings of the casino small print or the basic mechanics of gambling and probability. It can often simply be a case of crossed-wires and it’s rare that a casino will want to blatantly rip off a loyal customer – for an online casino, reputation is everything. 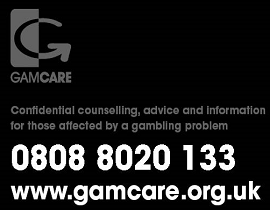 As such, before you attempt to get the said casino ‘blacklisted’ the first thing you should do is to contact them and talk to a higher level management if you have so far failed to get your complaint heard, they are usually inclined to settle disputes before their reputation is in tatters! By far the commonest problem that players complain about surrounds the withdrawal of funds, and the casino refusing to pay out. Those casinos who appear to be making a habit of this particular exploit are referred to as ‘rogue casinos’, and given the vast number of casinos in operation on the internet at any one time, you should find that it is no surprise that amongst these there will be a few who either refuse to ever pay out, or fail to pay out within an adequate or appropriate timeframe, it is no good if you win but you cannot withdraw your winnings for a few months! 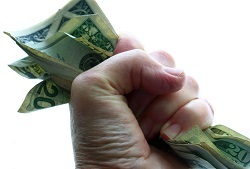 The main reason why a casino will hold on to players funds longer than is deemed appropriate is usually because they hope that by dragging the process out players will continue to place wagers whilst they are waiting, resulting in them losing all of the money that they have won in the first place- in terms of the casino making its money this way, it is sad to say that it is a strategy that works, I myself have fallen for it once, but never twice. This leads us on to the following question; what can you do as a player to ensure that you receive winnings that are rightfully yours within a reasonable space of time? The following guidelines should help if you ever find yourself in such a position. At any point that you find yourself conversing with an internet casino regarding a problem relating to withdrawals, then your best mode of communication would be by email. By making use of email you will ensure that you have a copy of all the correspondence that passes between you. You will be able to print them off so as to have a hard copy- something that might prove invaluable o any subsequent claims you may need to make. Whenever you are trying to settle a dispute with an online casinos customer services, and incidentally this piece of advice relates to all types of business too, make sure that you ask to speak to someone in a higher position than the person you are dealing with if they are unable to satisfactorily resolve your problem. It could be that you are talking to someone with little experience, and who may therefore not know their job thoroughly enough yet, or you may be dealing with someone who is having a bad day and they are taking their bad mood out on customers- if you are communicating with someone who is being difficult, or who is not getting to the bottom of your dispute, then you must insist on speaking to someone who has a greater authority than that person. If you have tried and failed to get a complaint satisfactorily resolved, if it is starting to feel as if you are banging your head against a brick wall, then our advice for your next port-of-call is to seek help from a third-party specialist. The first place you may begin to start is by contacting the source that originally directed you to that particular online casino. Such sources may include promotional e-mails, or affiliate websites, forums, etc, obviously if the third-party is a friend who knows nothing about resolving an issue then you will need to seek help elsewhere (more on this later in the article). If your source was a third-party website then your best bet is to contact the webmaster directly, because they will surely be thoroughly conversed in the industry, and enjoy a good business relationship with that particular casino, they should be able to talk with the casino on your behalf- after all, they too have a reputation to uphold and will not want to give the impression that they direct their customers to ‘rogue casinos’. Additionally, if you came to the casino via a link on an affiliates website, then the webmaster will recognise you as one of ‘their’ customers and will be in a much more inclined frame of mind to help you, they will have a lot more negotiating clout than you and they will also have the incentive to help you as it may directly affect their revenue if they do not help when asked. If after taking these steps you still do not have the outcome you had been hoping for, all is not lost, there are some alternative actions that are open to you, there are, for example, independent websites that have been created for the specific purposes of helping people to resolve such online disputes. If you have tried as many avenues as you can think of and you have still not had any luck getting to the root of the problem, particularly when the problem involves withdrawal of funds, then you should contact the company/jurisdiction that deals with the licensing of the relevant software in question. Many of the largest online casino software providers, such as RealTimeGaming, Microgaming and Playtech will provide disgruntled players with a ‘Player Dispute Service’, these services are specifically tailored for players like you, who are having problems with a particular online casino. The chances are that the issue will already be known to them and they will know the particular recourse of action that is needed to solve your dispute. This is the correct last-port-of-call for players playing at any type of gambling website, including bingo rooms, poker rooms, standard casinos and sports betting sites. Such software licensors will be happy to hear from any player who is having particular problems with a casino for which they are providing the games. The reason being? These leading software providers will not want their good reputations tarnished by online casinos that are not willing to play by the rules, or in a fair manner. Created in the early part of this decade, eCOGRA (ecommerce & Online Gaming Regulation & Assurance) was established by the software developers Microgaming and Cassava with the aim of functioning as a regulatory body for what is still a largely unregulated business. Only casinos that meet eCOGRA’s stringent regulations are offered the companies prestigious seal of approval, this seal will usually appear somewhere on the home page and says “Play It Safe”- this is a trustworthy, reliable seal and any casino that is legitimately sporting it is a safe bet to play on. Online casinos belonging to the eCOGRA group will have a Player Dispute Form available somewhere on their site, which can be filled in and submitted to their company, after which they will do all in the power to reach a satisfactory resolve to the issue. The GPWA is the company that runs the world renowned “The Players Corner” forum where online gamblers can give voice to their problems with an online casino and receive advice from other players or business people in the industry. Because of the large customer base pertaining to the GPWA you will almost certainly be able to talk to someone that will have a contact within the particular casino that you are having difficulties with, and they may even act on your behalf in order to help you to resolve any issues you have. An online forum such as Casinomeister’s is usually the first place that a person will look when they are faced with a problem casino; however, it is not always the most effective means of going about your problem. If you enter a forum and publicly voice that an online casino is operating in an underhand manner, and then you will not be very likely to receive your winnings once you have antagonised them, they will do more in their power to ensure that you do not get your money at all. But, if everything that you have tried has thus far failed, then it is probably more than worth your while to start bad mouthing them, especially if you know you are not going to receive your money, you will want other players to know so that they avoid that particular casino too. As you may already know, at any one time there are more than 2000 online casinos in operation, and with even more in the pipeline, players have a plethora of potential casinos at which to play. Nonetheless, it may come as no surprise that some of these will not be legitimate casinos. Clearly, this problem does not only affect casinos, in any industry there will be those businesses that do not play by the rules and the internet gambling industry is no exception- a fair few dodgy deals are going on at any one time. Bizarrely enough though, even though casinos have always had shady reputations (and this is especially true of the early days in Nevada) the vast majority of online casino businesses accept the idea that for the industry to continue in any shape or form it must develop strict regulations that must be adhered to by all, this will benefit all those involved, from players to government and even the gaming companies themselves. Because there are no formal rules that govern the online gambling industry the majority of reputable online casinos agree to act according to specific, self-regulated rules. The truth is that, because of the way in which the online gambling industry operates, if potential customers get so much of a whiff of negative information about a specific site, then this site will be given a wide berth by the majority of players, news travels so fast of dodgy dealings through the information super-highway that such issues are quickly revealed and other players warned-off. An example may include the following; a casino may argue that a player is not entitled to winnings that the player feels they are, another may be that the software has been tweaked in such a way that the players lose more on average than they would have if playing a game with a truly randomised mechanism. Such news would spread fast and this means that such casinos will get such bad press they will be forced out of business. However, squeezing a rogue casino off the market takes time, and during that period some unlucky players will be sure to fall for their scams, so how do you avoid playing at such casinos? The following rules are a few simple steps that you can take to ensure that you are playing at a reliable casino, and protect yourself against fraudulent sites that are just out to make a quick buck. In applying these rules, as well as using your own common sense, will make sure that you significantly reduce your chances of getting ripped-off by unscrupulous businesses. Make sure that you only play at a casino that uses recognised gaming software from the most popular, reliable operators, such as Microgaming, Playtech or RealTime Gaming (search internet review sites for other reputable firms). Make sure that you only open one account per online casino, unless they have otherwise stated that this is acceptable. If you do open more than one account, then many casinos will delay any transactional operations if they discover additional accounts, in some cases they may refuse to pay-out altogether as they will presume that you are trying to establish and exploit weaknesses in their services. A very good way of establishing how efficient and trustworthy a casino is, is to send their customer services a few questions regarding various issues you may have, judge by the speed at which they communicate and the comprehensiveness of their answers as to whether they follow a good works ethic. The way in which the company will reply will be indicative of the type of organisation you are dealing with. If you do find yourself running into problems with a casino, make sure that you communicate your problem effectively, do not be rude, at least not to begin with, in general, the more reasonable you are in your approach towards them, the more likely the casino is to deal promptly and efficiently with your issue. Before playing at any casino, make sure that you read their terms and conditions, and prior to playing any of their gambling games, ensure that you know the specific rules that particular casinos employs with regards to that game. These rules and regulations should be easy to locate. When browsing for a potential website, pay attention to the graphics, appearance and sounds. Ask yourself the following questions; does the site look professional? The amount of money that a casino invests in making its site look nice speaks volumes regarding their intentions, if they are planning to stick around then they will have made the effort to look good. Also, exciting graphics can add excitement to your gambling experience, but they may also be a bit misleading, you need to be finding out which casinos are trying to attract regular players, rather than one-off depositors. Never try to accumulate multiple bonuses from the same casino, this can give the casino an excuse to refrain from paying you, or delay any payments that they owe you as they will usually expect you to play through a certain amount of money before withdrawing any winnings you have earned from a bonus. Keep your own records. Casinos will usually keep a log of all the games that you play, how much you have deposited and how much you have won on each game played. It is good practice to also keep your own record, this way you can cross-reference between the two and ensure that they are accurate in their record keeping. Keep a log of your user name and password in a safe location. Always remember that you are gambling to have fun, not to make money, there is never a sure-fire way to win so you should never rely on gambling as a source of revenue, if you do you are likely to find yourself in financial difficulties- although there have been exceptions to this rule, they are usually rare. Make sure that you know rules 1-9 by heart. If your number one concern is safety then 888 Casino is your best choice. 888 are a publically traded UK company and one of the biggest gambling and online casino operators in England, Wales, Scotland and Northern Ireland. As they are a UK company they are subject to the tightest financial and security restrictions in the world and must regularly pass rigorous integrity, anti-fraud, banking security and money laundering tests.